The night before leaving for college, Malana Wells was excited. Reham Noaman, a Clark Atlanta University student, is trapped in Saudi Arabia despite having a visa because of President Trump's travel recent ban. The post Clark Atlanta student with visa trapped in Saudi Arabia appeared first on theGrio. Spelman College, Morehouse College and Clark Atlanta University are among the colleges and universities receiving grants as part of the Lilly Endowment. The post Morehouse, Spelman and Clark Atlanta receive millions in grants appeared first on theGrio. 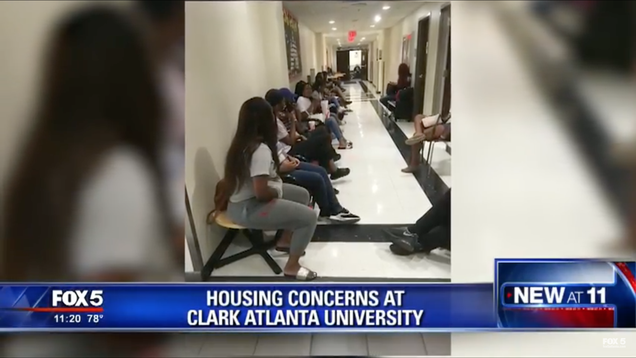 On Tuesday, Clark Atlanta University was surprised by an unexpected donation from basketball legend Charles Barkley to the tune of $1 million. The post Charles Barkley donates $1M to Clark Atlanta University appeared first on theGrio.